Have you ever wanted to create change in your life, but didn’t know how to start? Most of us think about change, but in the mist of it happening it can be confusing, uncomfortable, and unfamiliar so we reject the process. But that’s not how you achieve transformation. That’s why it’s so important to be to share my story with you. I have experienced such tremendous growth personally and professionally that I want to tell you how I did it. I applied what I knew about the creative process of making art to creating a process for personal transformation. 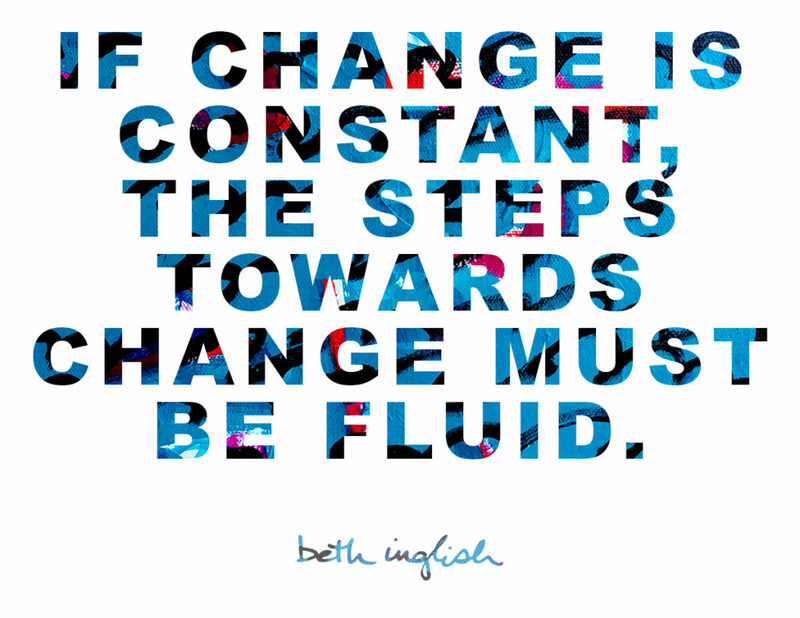 If change is constant, then the steps to get there must be fluid as well. Watch the video included in this post to learn how I’m using art to be the change I want to see in the world. I’d love to hear from you and the challenges you’re facing. If you could change one thing in your life today, what would it be? Leave a comment or contact me to chat!